When I worked I got into the habit of making quick and easy dinners. Once a week this involved me sticking on some spaghetti and then mixing in a jar of Carbonara sauce. Eventually my husband asked me to take it off the menu as he was so bored of it. I really like pasta so it was frustrating for me at the time to remove one of my pasta dishes from our weekly menu but at least it saved us wasting food. Then a year ago I decided to try and make my own, simply using Pasta, Creme Fraiche, Parmesan and some meat. It worked! My husband would eat Carbonara again, except I was ordered to refer to it as 'Tasty Carbonara' so he knew he wasn't getting the jar of sauce. Things I love about this recipe is that it's easy, it's simple, you don't have set measurements so you can add as much Creme Fraiche as you like depending on how much sauce you would like, Parmesan depending on how much of the cheese flavour you want, but you can also add a few different ingredients along the way. One of our essential ingredients for this recipe now is ground peppercorns, again, as many or as little as you like. I also like how versatile this recipe is when it comes to meat. 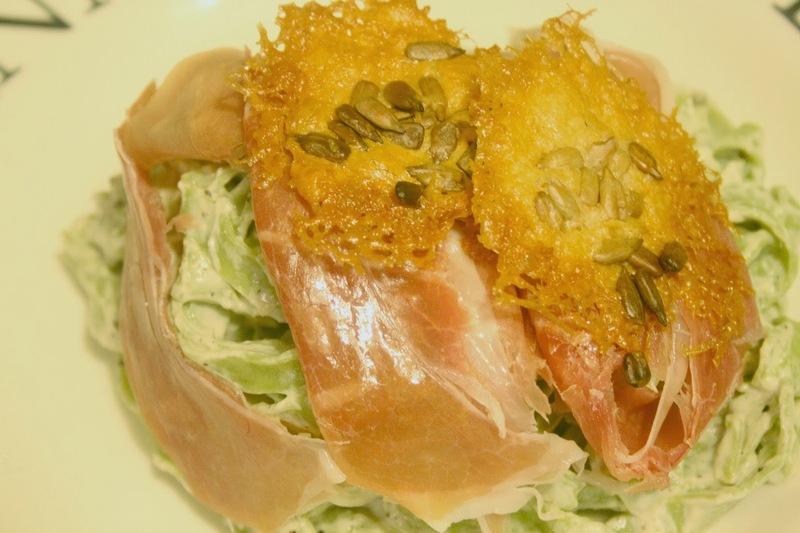 I usually use either chicken, bacon or salmon, but recently after being sent some Prosciutto di San Daniele and being challenged to come up with my favourite recipe using this ingredient, I thought I would try it out with the recipe. We are fans of Cured Meats and will usually have them added to a salad in the summer, or a picnic, we are yet to have them alongside a hot meal too. I thought the saltiness of the cured meat would work well together with the creme fraiche and also alongside the Grana Padano Cheese, which we were also sent as part of a hamper/challenge. Despite many recent "from food to fork" campaigns focused on improving clarity surrounding the sourcing of ingredients, confusion still remains about the origins of the food we consume. The "PDO- The taste of origin and tradition" campaign was launched in partnership with the Consortium of Prosciutto di San Daniele and the Consortium of Grana Padano Cheese, is designed to promote Protected Designation of Origin (PDO) products. Now in it's third and final year, and funded by the EU and Italian government, it is focused on sharing unique qualities and characteristics of these products in the UK and raising awareness of what PDO status means. For more information on the PDO programme visit this website. I'm interested to know the origins of the food we eat. Through various campaigns over the years we have changed the food we buy considerably. We look at meat content of sausages, we only buy free range eggs and chickens, and we buy our Turkey local. I was sent some information about Grana Padano Cheese and the history behind it, which I found really interesting. 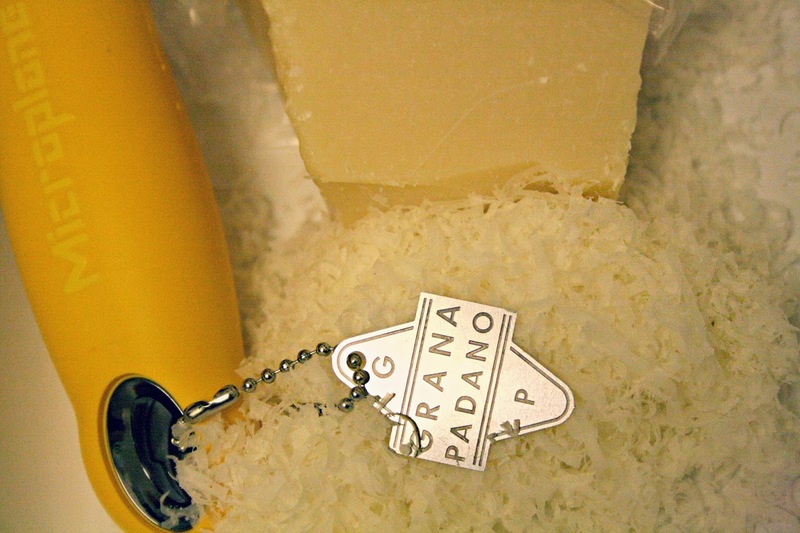 In short, Grana Padano Cheese was invented by monks around 1,000 AD as a clever way to use excess milk. Due to it's grainy structure it was given the name "Grana". It soon became famous as a highly esteemed ingredient at Renaissance banquets held by Princes and Dukes. Wheels of Grana Padano cheese were used as local currency, given as gifts and even accepted by banks of assurance for a loan. There are different vintages of the cheese from nine months until over 20 months. Prosciutto di san Daniele is created by the same ancient drying and ageing process first used by the Romans, using salt to preserve meat. The Prosciutto is hung, and cured, for a minimum of 13 months to create the delicate flavours. 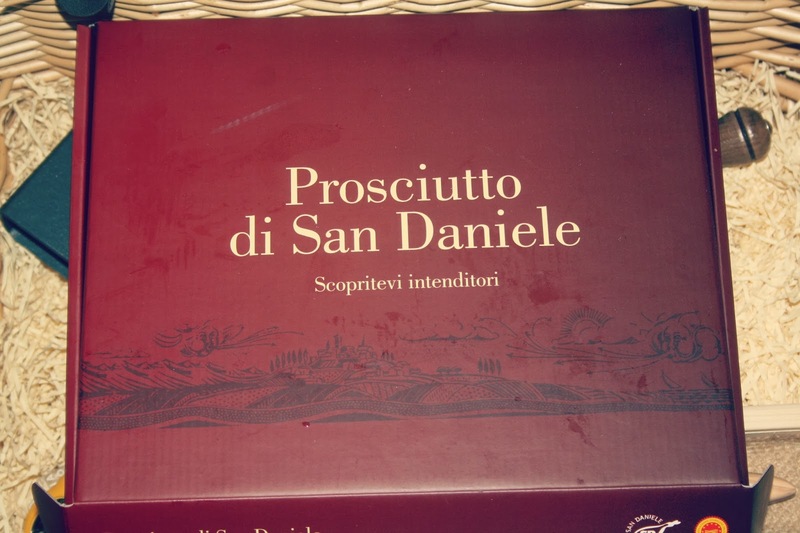 As with the Grana Padano Cheese, Prosiutto di San Daniele was also considered to be very high value from the beginning of it's creation and was used as payment (pairs of ham). From the thirteenth century onwards, the prosciutto was used as barter for goods and was given as a precious gift. When I cook Carbonara I don't stick to any measurements. As I said before, with this kind of recipe I find you can just make it to suit your taste, so we may have a lot more peppercorns than most, and a lot more cheese than most. I love how quick this is to cook. It only takes around 15 minutes to cook and is so full of flavour. It can also be made using just one saucepan, which is great when it comes to washing up. Pasta. 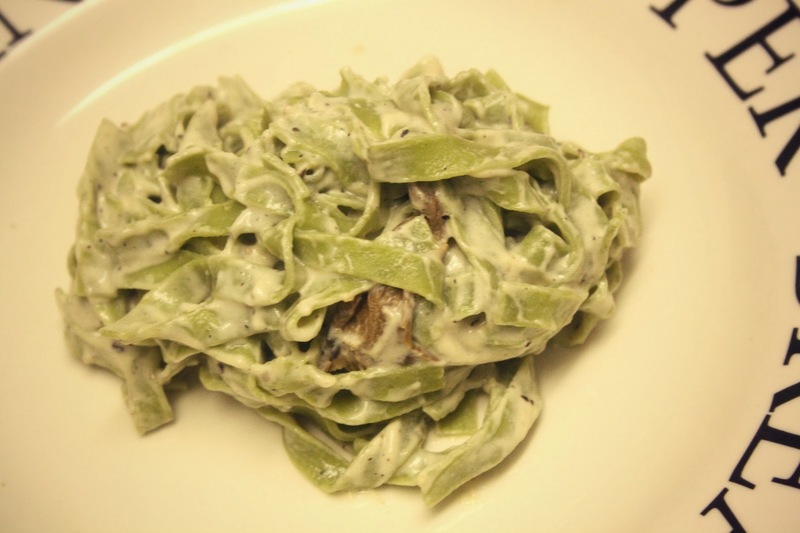 For this we used fresh Tagliatelle Verde. We have also used spaghetti or dry tagliatelle. First, cook your Porcini mushrooms. These should take around 10 minutes. Once they are cooked, place them to one side and sprinkle with some sea salt. Then cook your fresh pasta. This should take around 4-5 minutes. Once that is cooked, strain and leave to the side in the sieve whilst you make the sauce. Pour your creme fraiche into a saucepan, add the mushrooms, peppercorns and stir over a low heat. 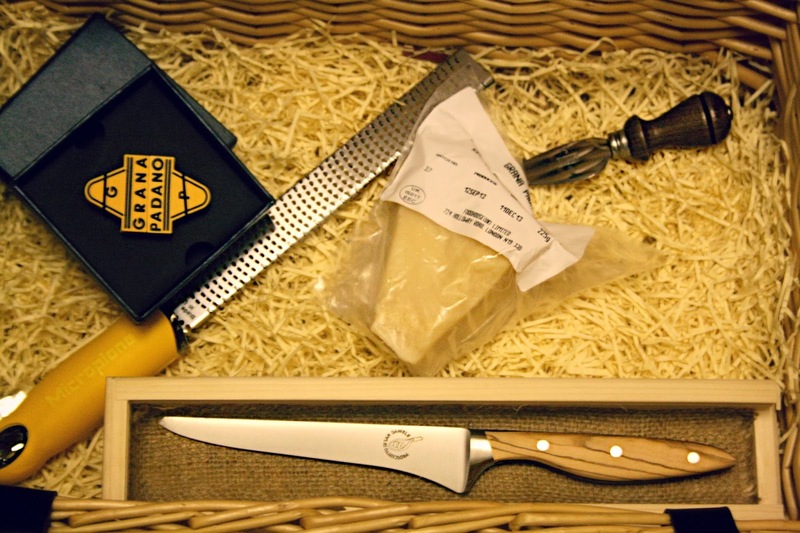 You can either add your Grana Padano cheese now or the pasta, the order doesn't matter. Again, stir over a low heat. Once cooked, arrange on a plate. Then, take your Prodscuitto de San Daniele and simply lay it on top of the pasta. I would normally combine other meat in with the pasta and sauce but I wanted to keep this meat as fresh as possible and found this really helped to keep the flavour strong. I also made some Grana Pandano 'crisps'. These are easy to do. Simply grate some Grana Pandano cheese. Place onto a baking tray covered with greaseproof paper. 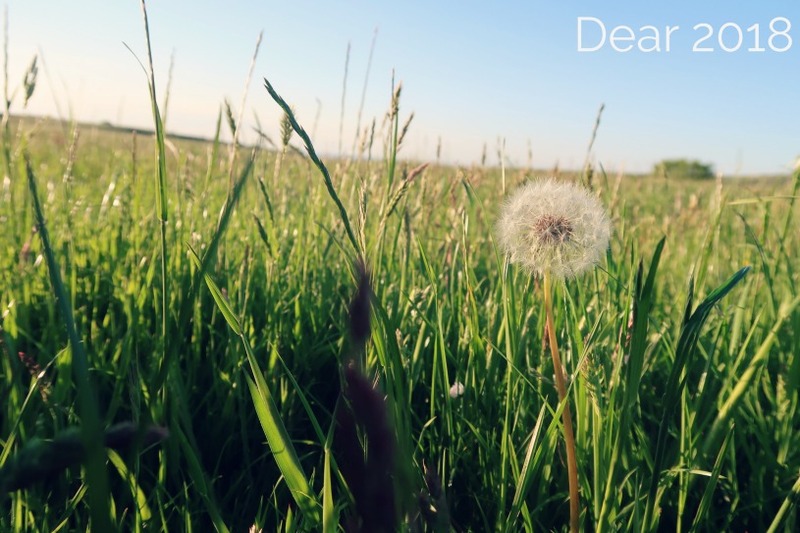 Separate into small piles with plenty of space between each one. I added a sprinkle of Pumpkin Seeds to each crisp to give it a slightly different texture. These were baked in the oven for 10 minutes at 200 degrees. 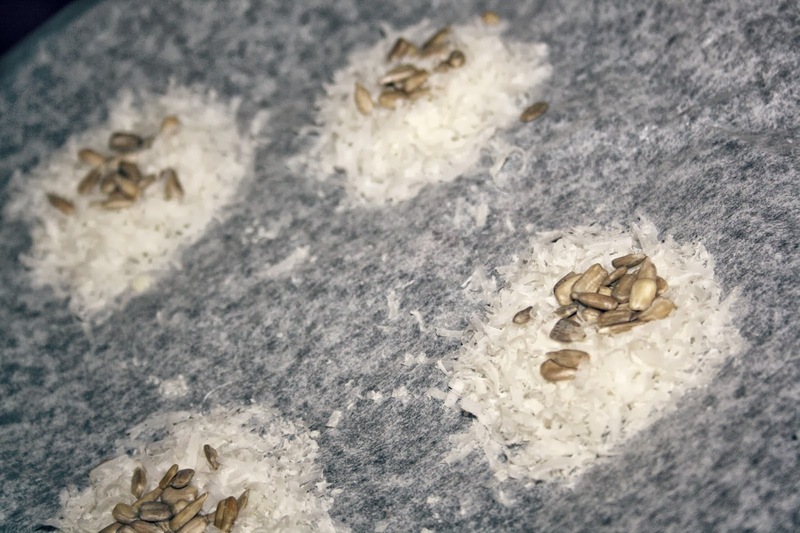 Once the 10 minutes is up take them out of the oven and leave on the side to cool slightly so that they crisp up and are easy to remove from the paper. I was sent a hamper of goodies for the purpose of this post. The recipe above is completely my own. Prosciutto di San Daniele is available at Tesco, Partridges, Harrods, Harvey Nochols, Fortnum & Mason, John Lewis, Marks and Spencer, Waitrose, Sainsbury's and Selfridges. Grana Padano Cheese is available in Waitros, Marks and Spencer, Harvey Nichols, John Lewis, Sainsbury's and Tesco, as well as independent delis.